Firstly I’d like to say, please don’t judge me for what I am about to say. Ok so I’ve been watching the recent shenanigans of ITV 2’s new love island ( I did say don’t judge me)and although the entire world appears to be fixated on the scantily clad bodies on parade, not to mention the serious grafting going on amongst the Islanders in a bid to secure one’s place on the island. I have to say as a hair extension specialist it would be completely fickle of me to overlook the fact that the majority of the ladies on Love Island appear to be sporting hair extensions. 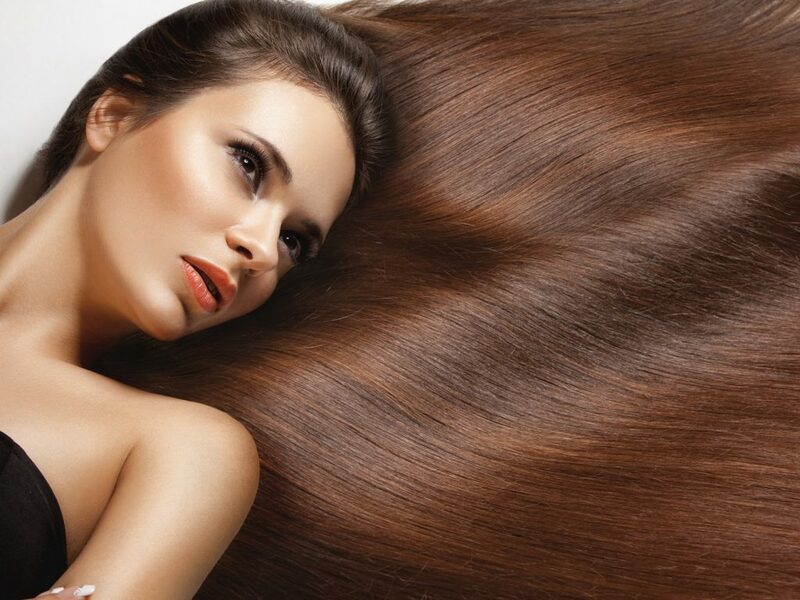 When it comes to hair extensions there are a number of different techniques available, however knowing which one will suit you is where the professionals come in. 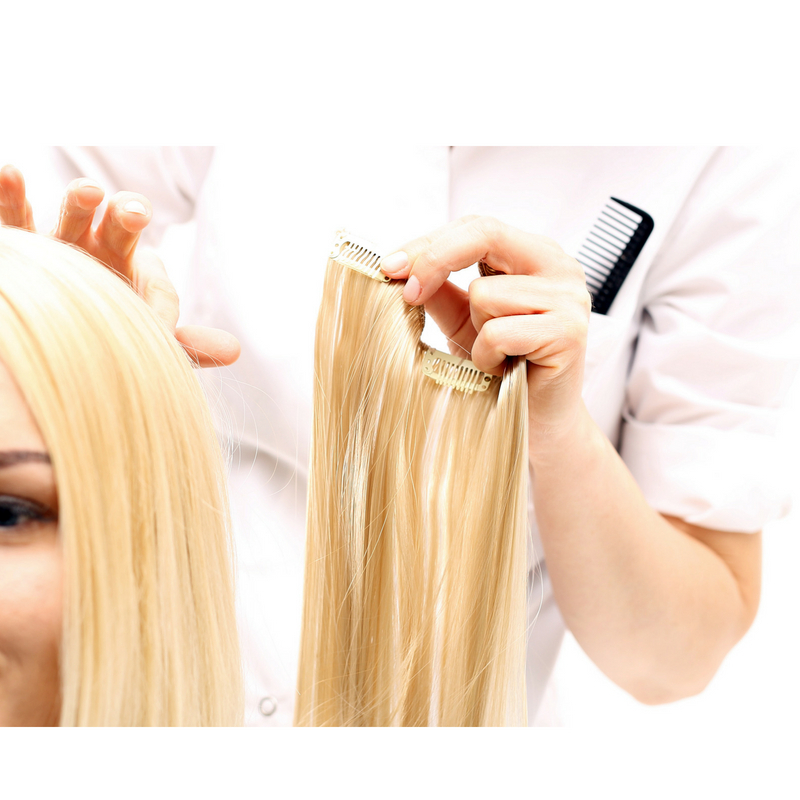 The most current trend in hair extensions at the moment appears to be tape weft extensions, often referred to as invisible tape wefts. 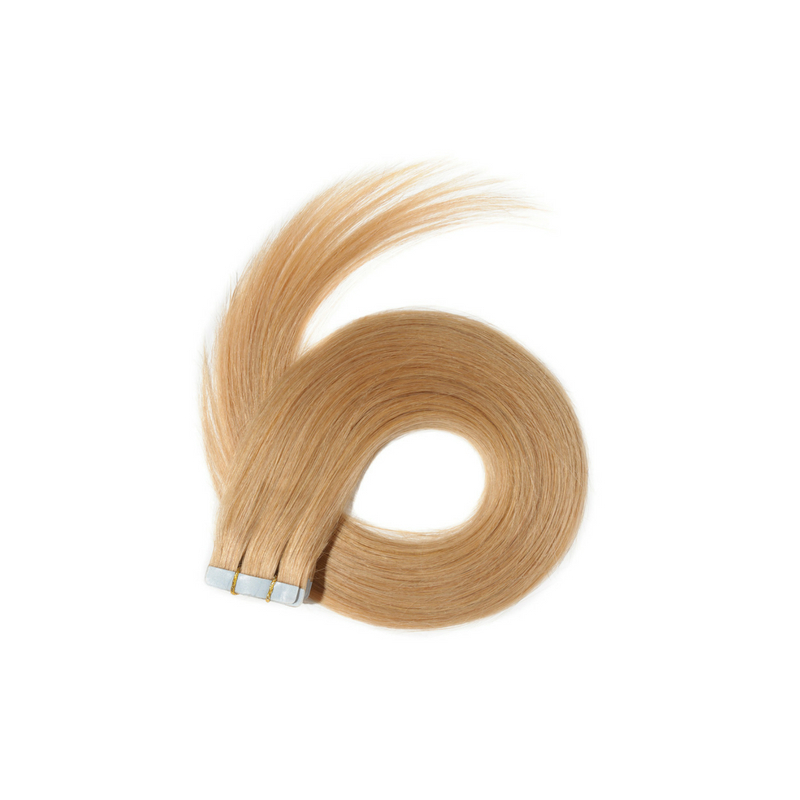 These are attached to the hair using an adhesive and are said to be extremely lightweight and come in the form of Small pieces of hair extensions which are pre-taped and applied to sections of the hair to create a flat finish. Weave hair extensions are what I would consider being one of the most natural forms of adding hair volume length or colour to your hair without the use of any glues or adhesives. Weave hair extensions are done by creating a plait/braid to form a base to which wefted hair is added using a needle and thread. I have to say this technique is by far my favourite technique as it allows for one to achieve lovely luscious locks that look extremely natural. 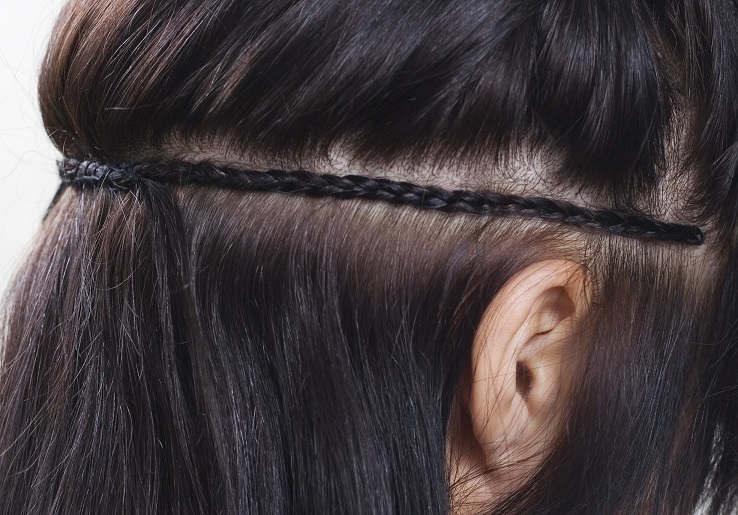 Another technique that has been around for years is the Nano ring extensions, sometimes referred to as micro rings or micro link extensions. These are individual extensions and are done using small circular rings (usually made from a silicone coating) to attach small sections of hair to your own hair. 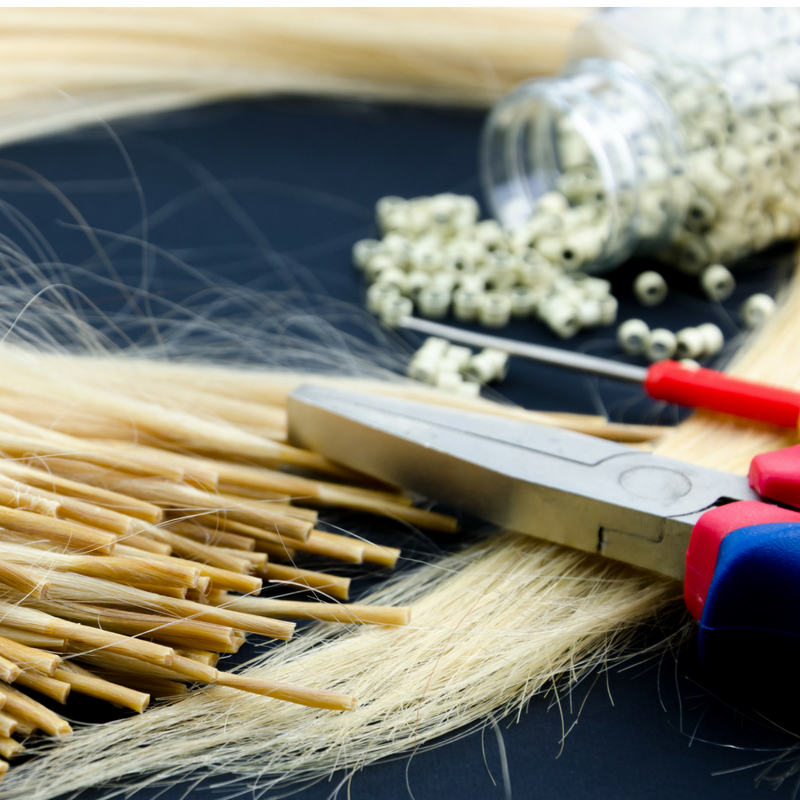 Pre-bonded Hair extensions are another individual type of hair extension, small sections of hair attached to your hair using an adhesive. Although these appear to have longevity many stylists tend to shy away from them as the adhesive may sometimes damage your hair, especially if applied incorrectly. If you’re looking for a more temporary fix I would say clip in hair extensions are definitely the way to go. Hair clips have cleverly been attached to wefts of hair which can easily be applied to your hair with or without your hairstylist. 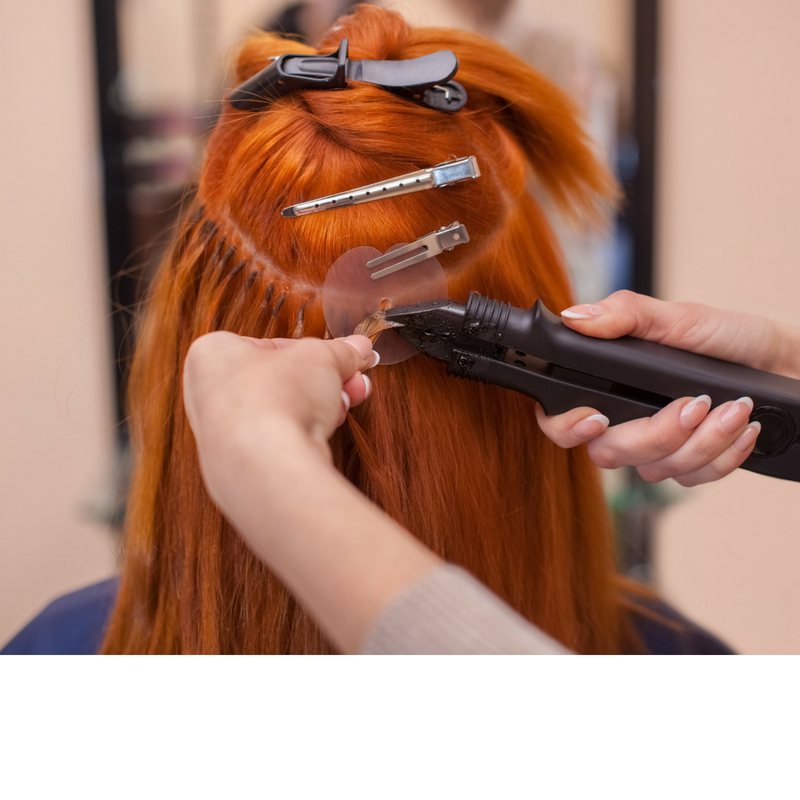 These sometimes come in a pack that contains pre-cut pieces of hair which have been designed to make the application easier.